Here we have a 12 x 12 childrens castle with jungle animal artwork from Jungle Book and Lion King. This is a lovely castle for any children because both boys and girls will have a fantastic time bouncing to their hearts content around the beautiful animal artwork. 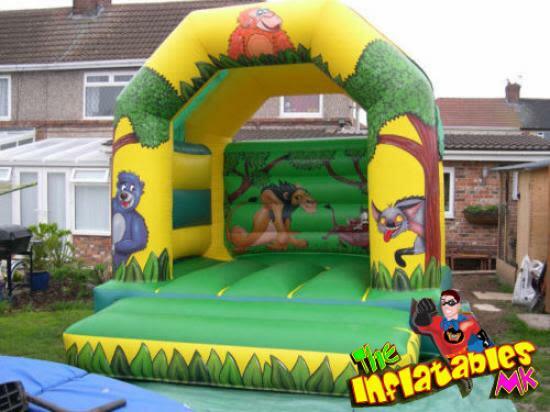 This bouncy castle is a must at any childs party and will make them the talk of their friends.